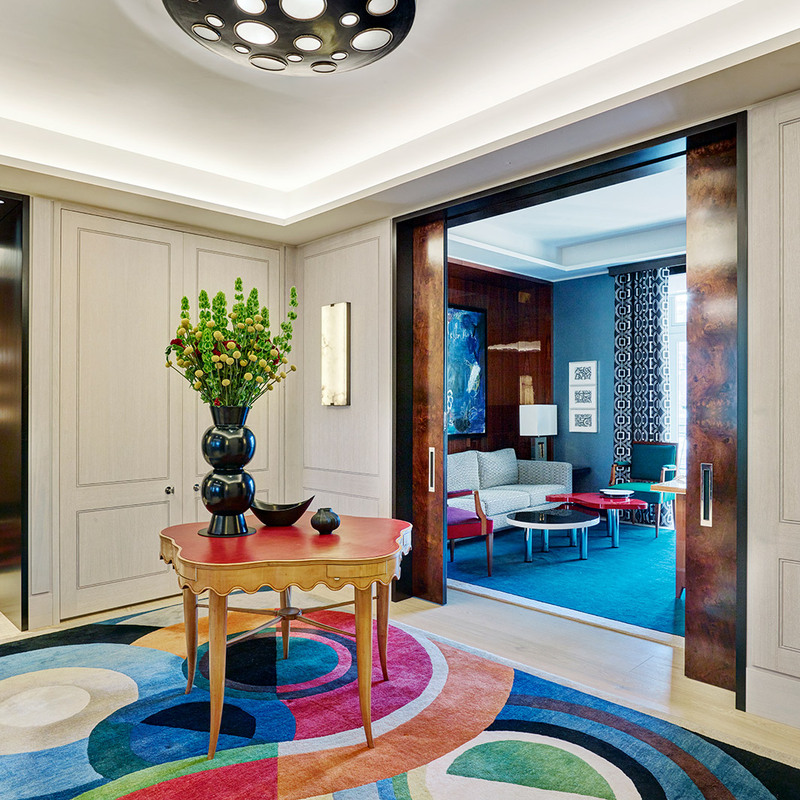 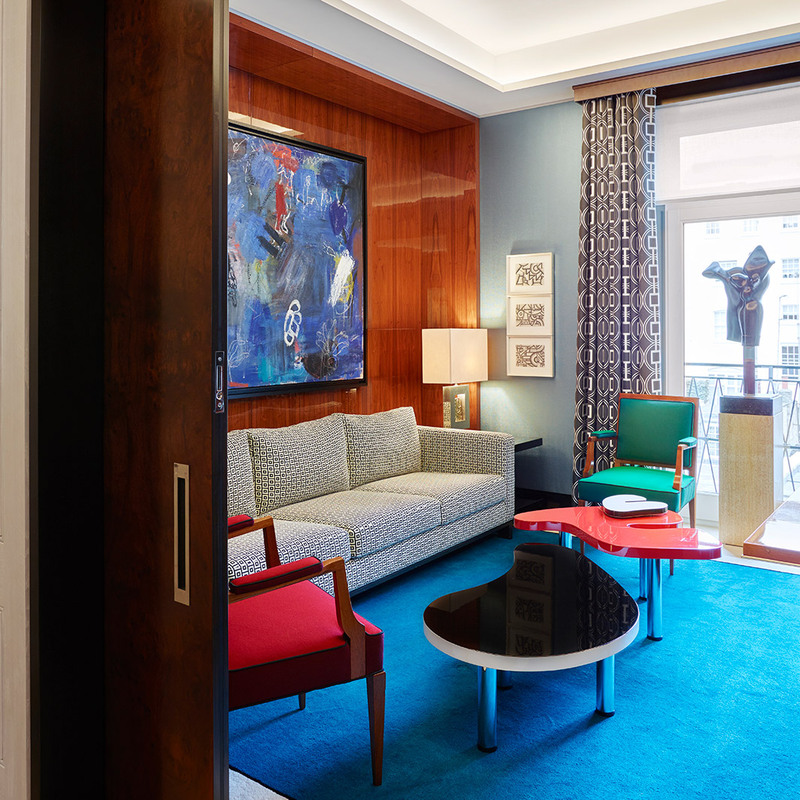 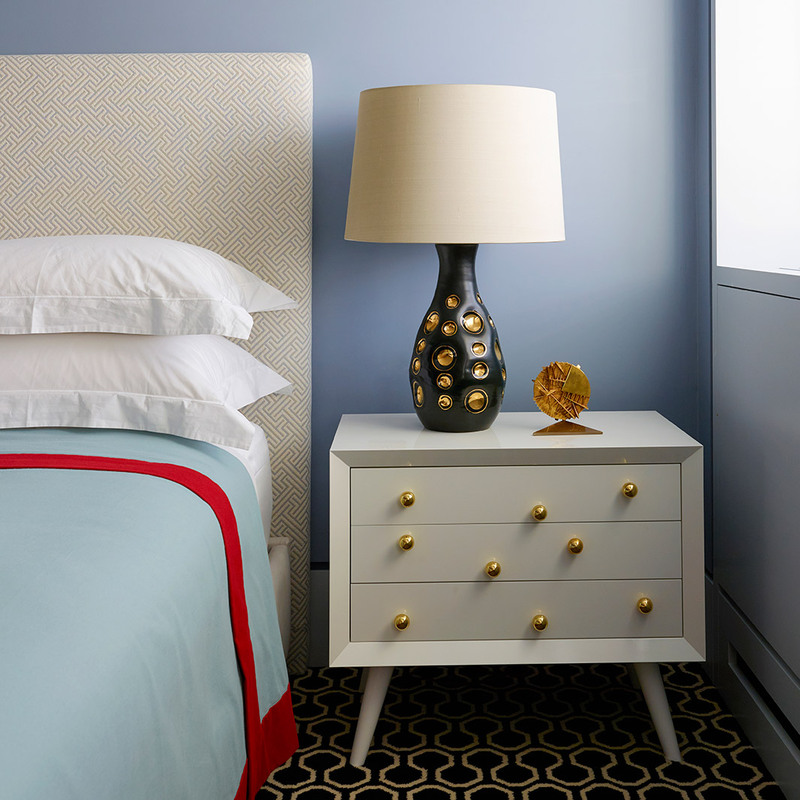 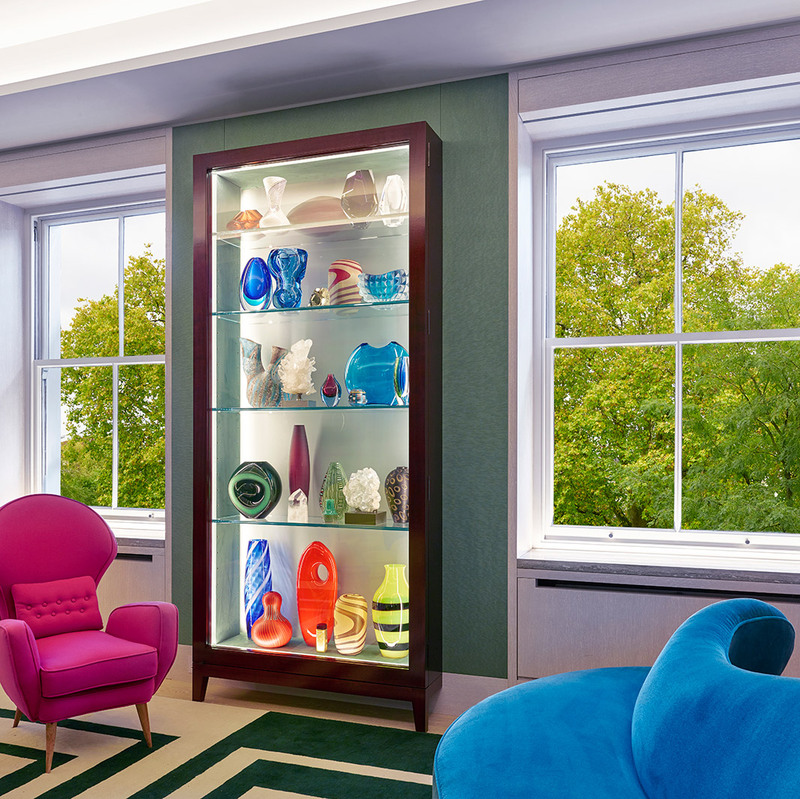 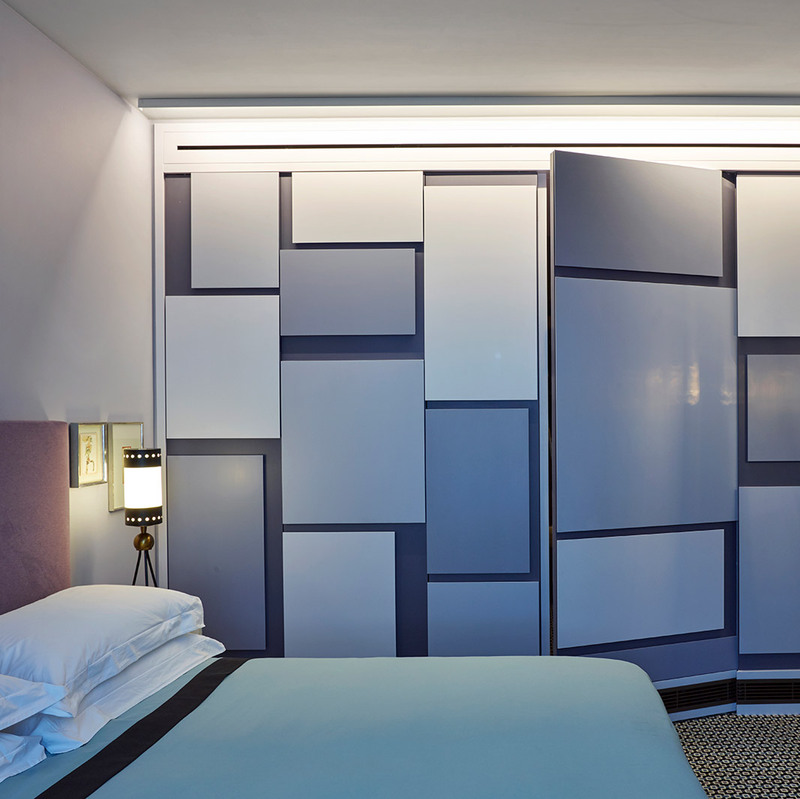 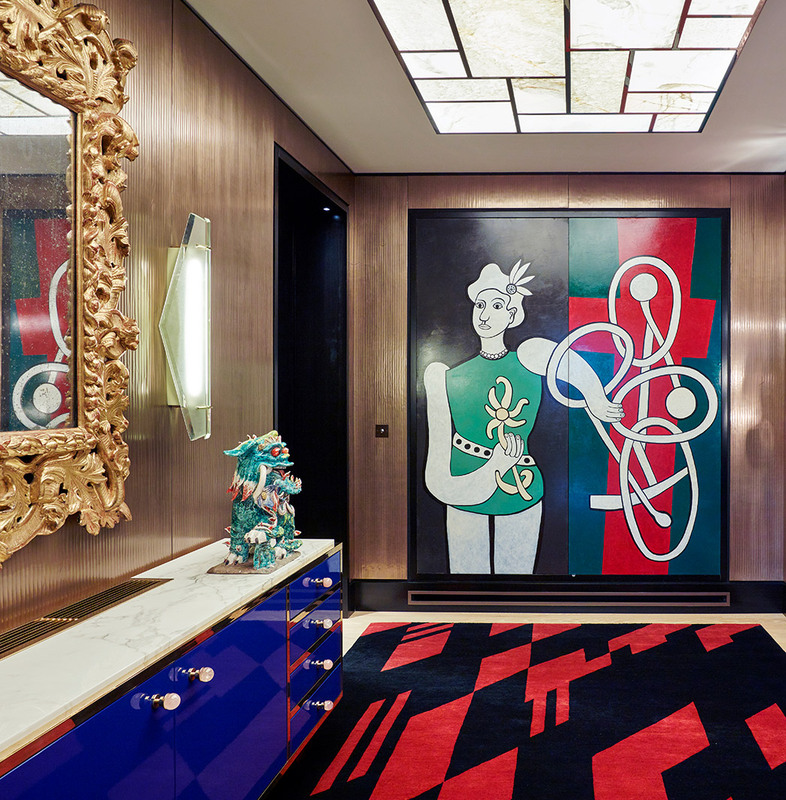 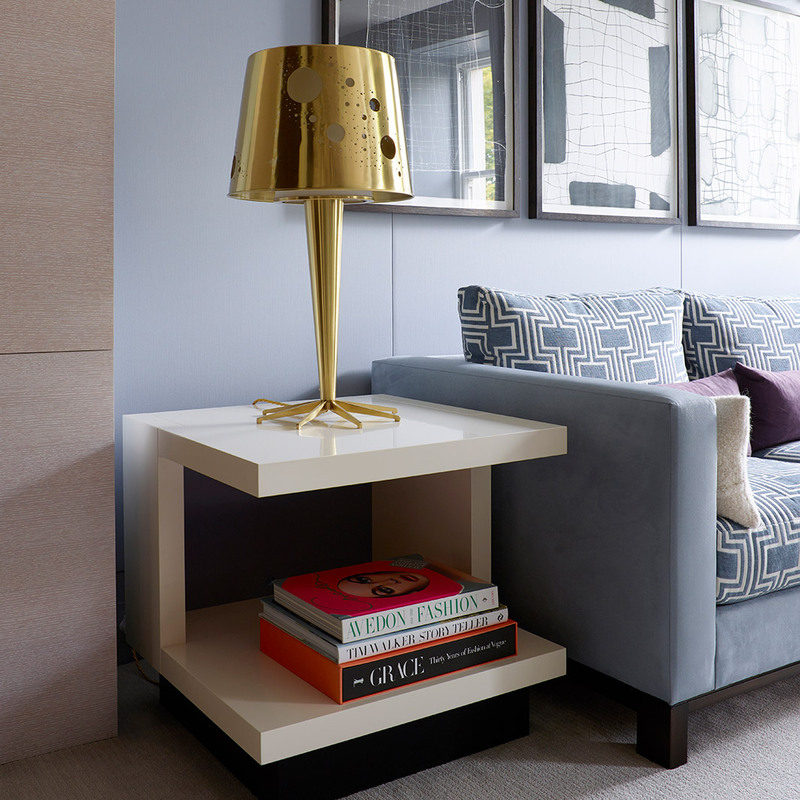 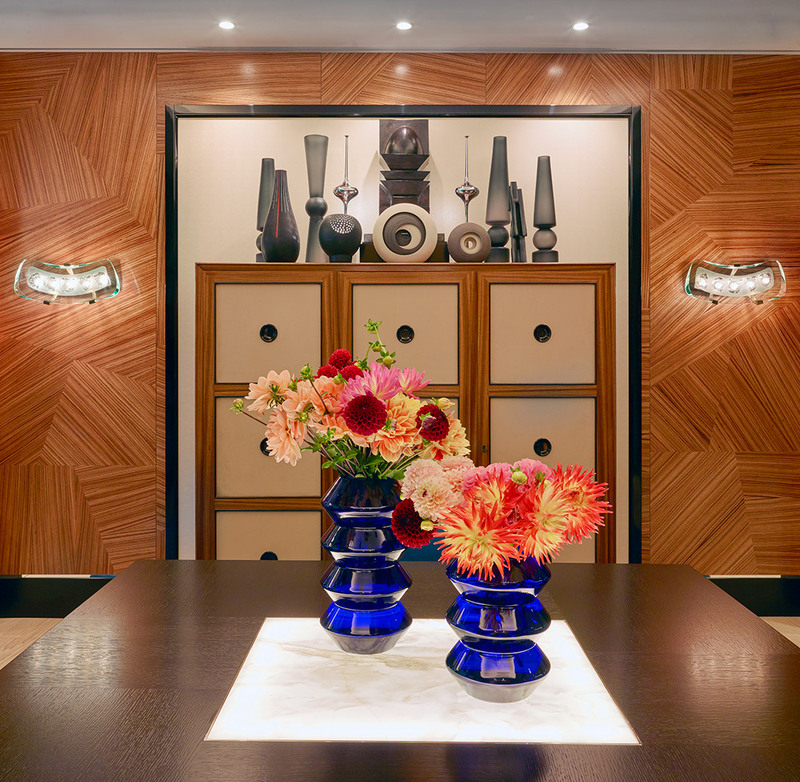 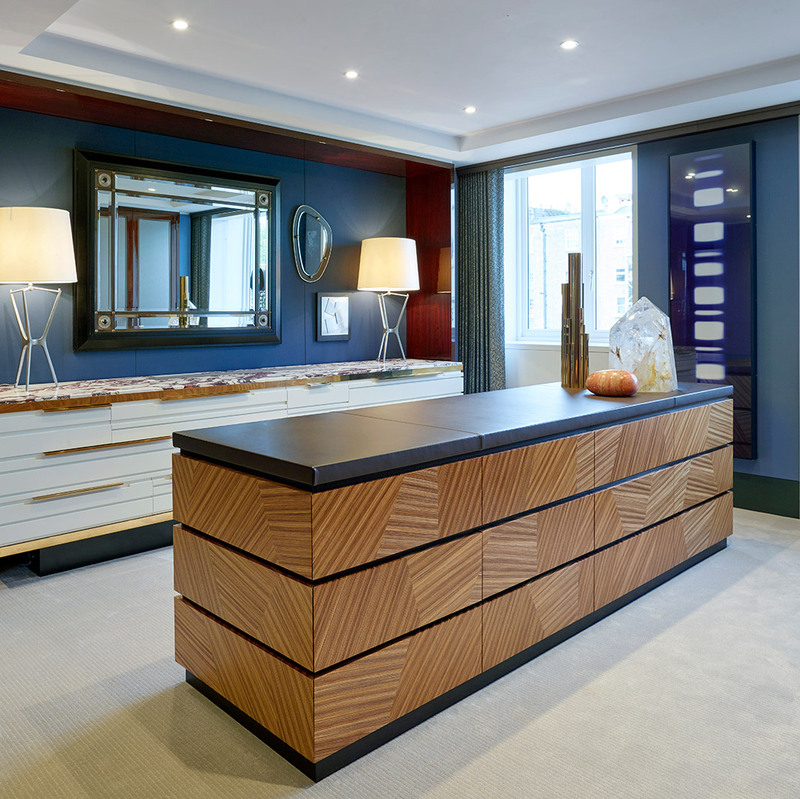 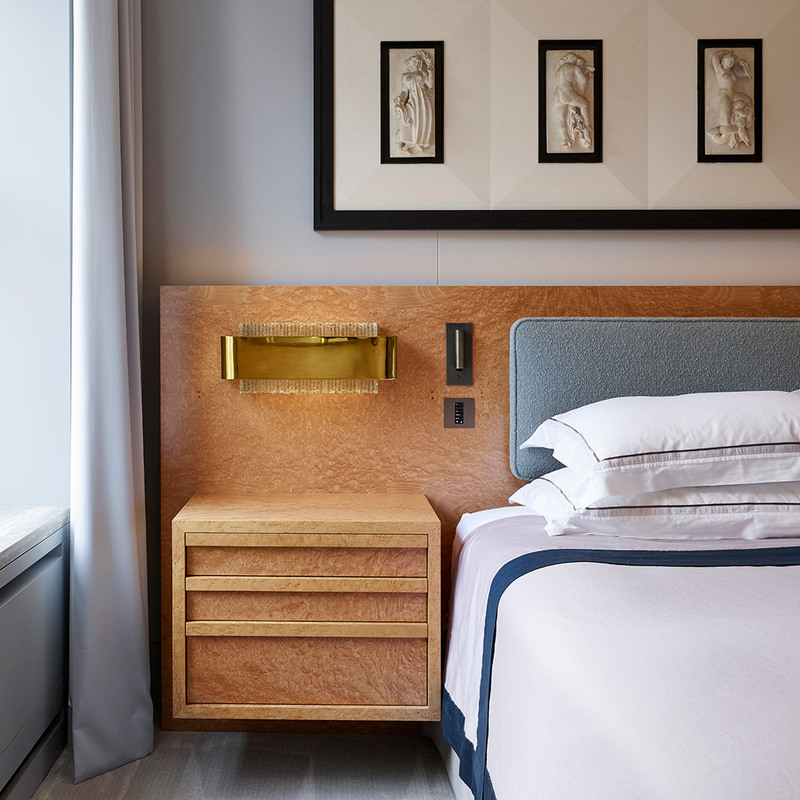 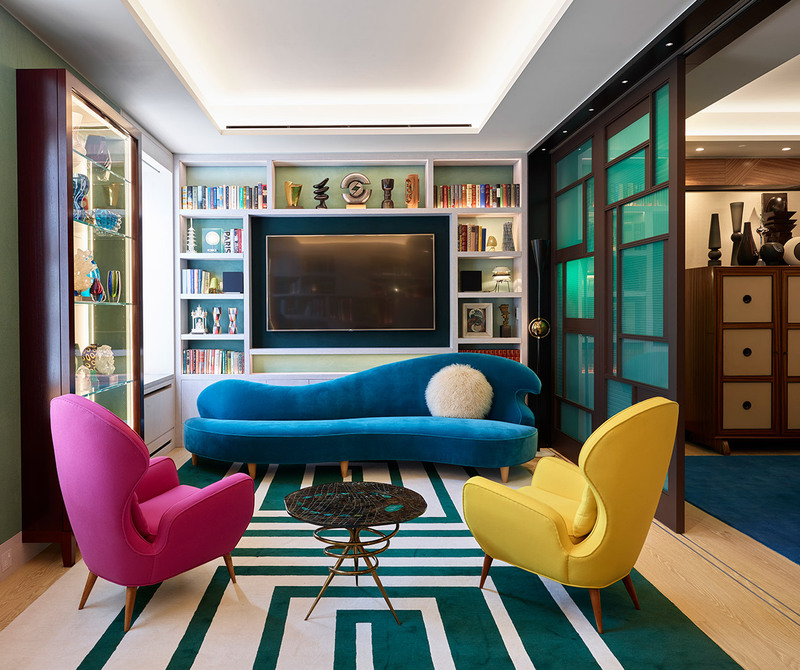 The playful and dynamic interiors of this substantial London apartment were partly influenced by the clients’ appreciation of mid-century design, as well as their love of vibrant colours and patterns. 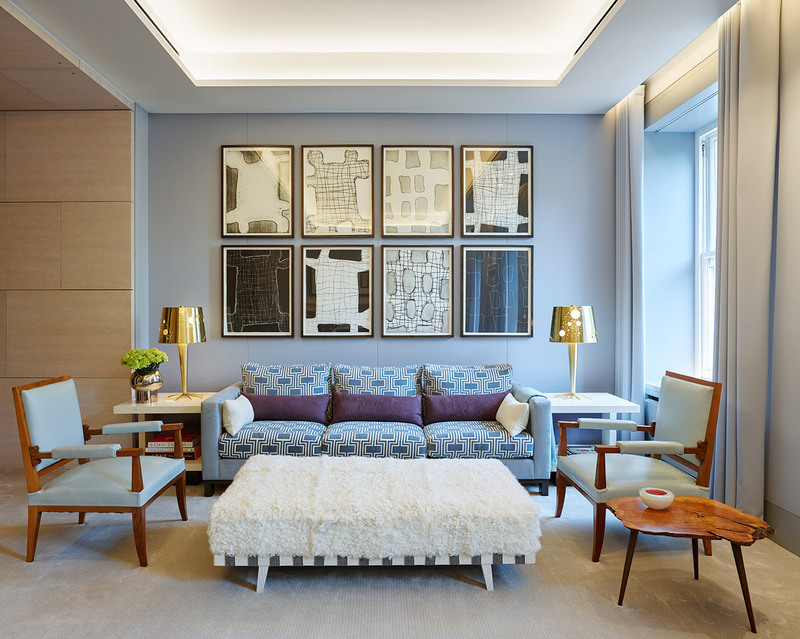 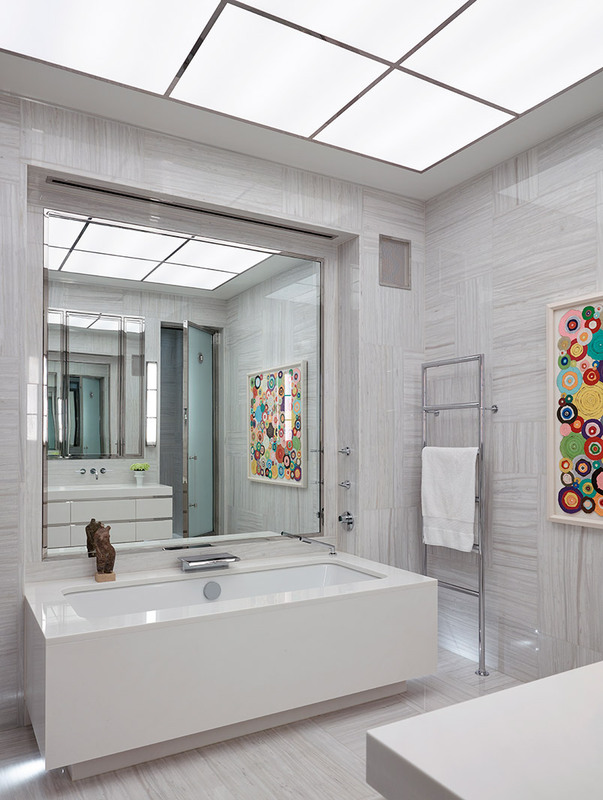 Two apartments were combined to create a spacious lateral home full of character and lifted by the owners’ art collection, which was woven into the design process with sensitivity and care. 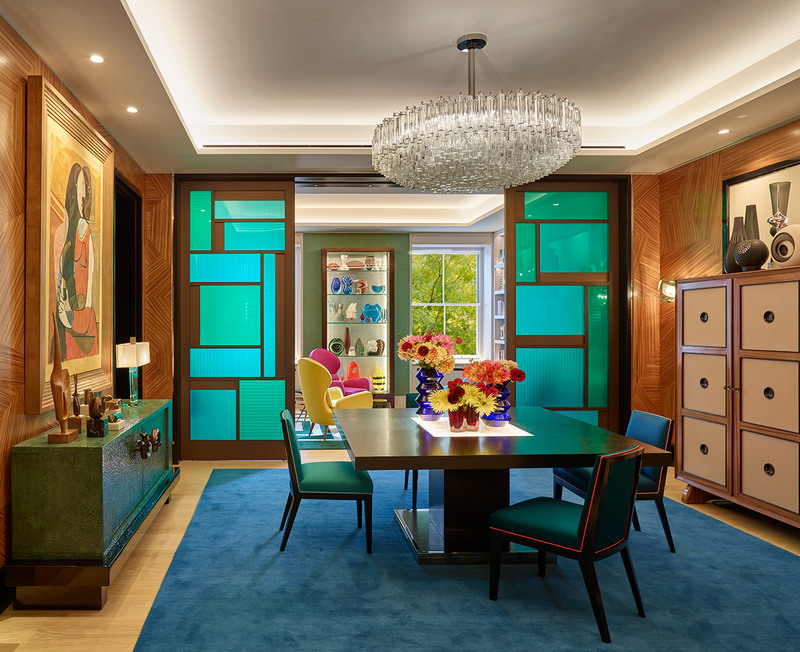 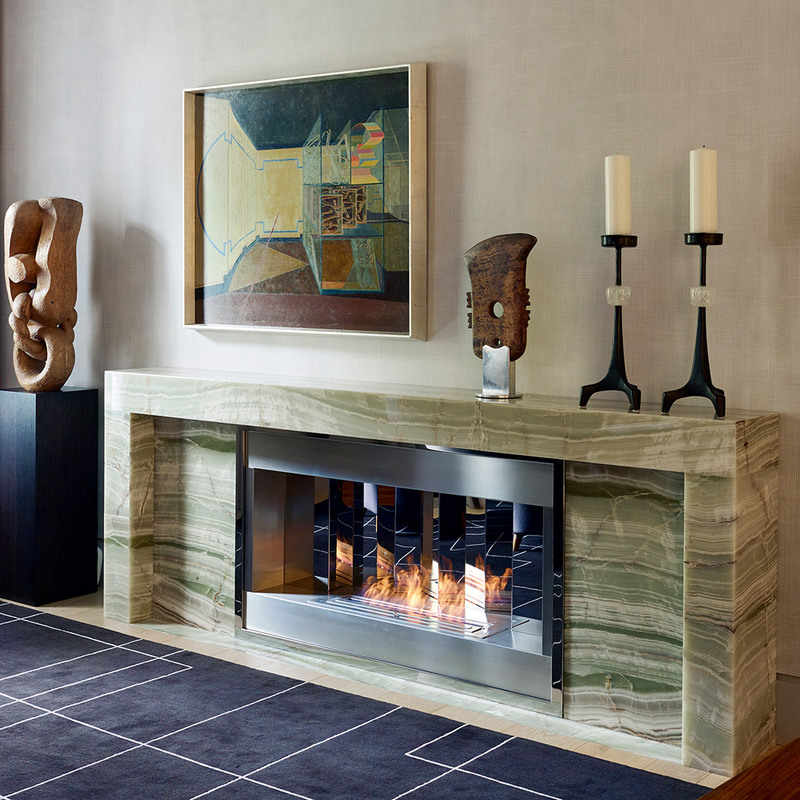 Bespoke feature lighting plays an important part throughout, with the Serge Mouille-influenced chandelier forming a focal point in the main sitting room, which has also been lifted by a new green onyx fireplace. 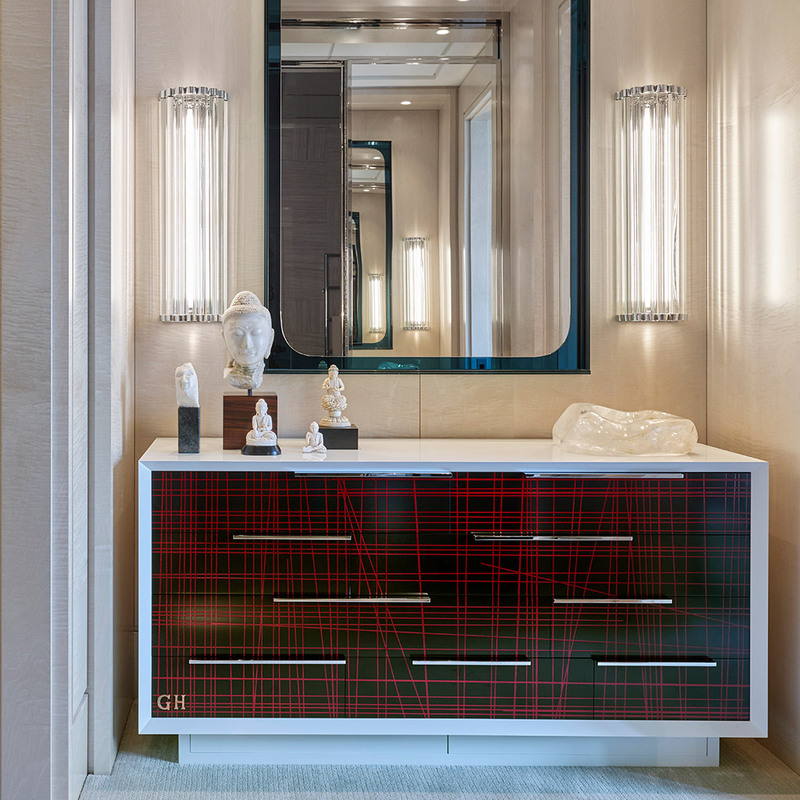 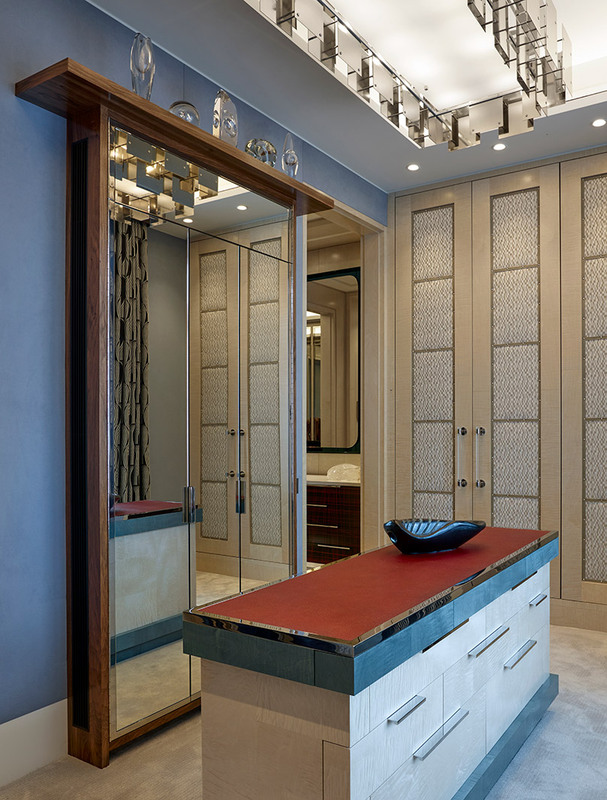 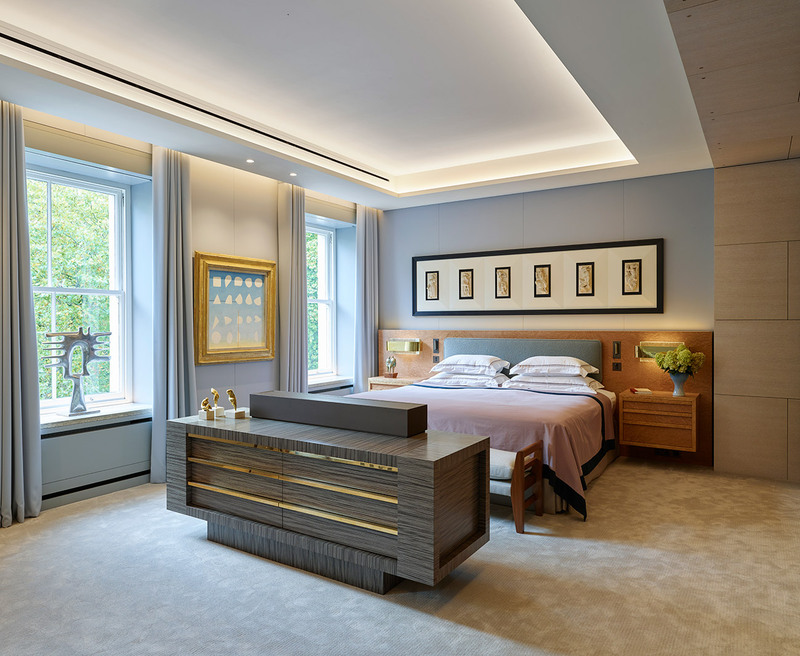 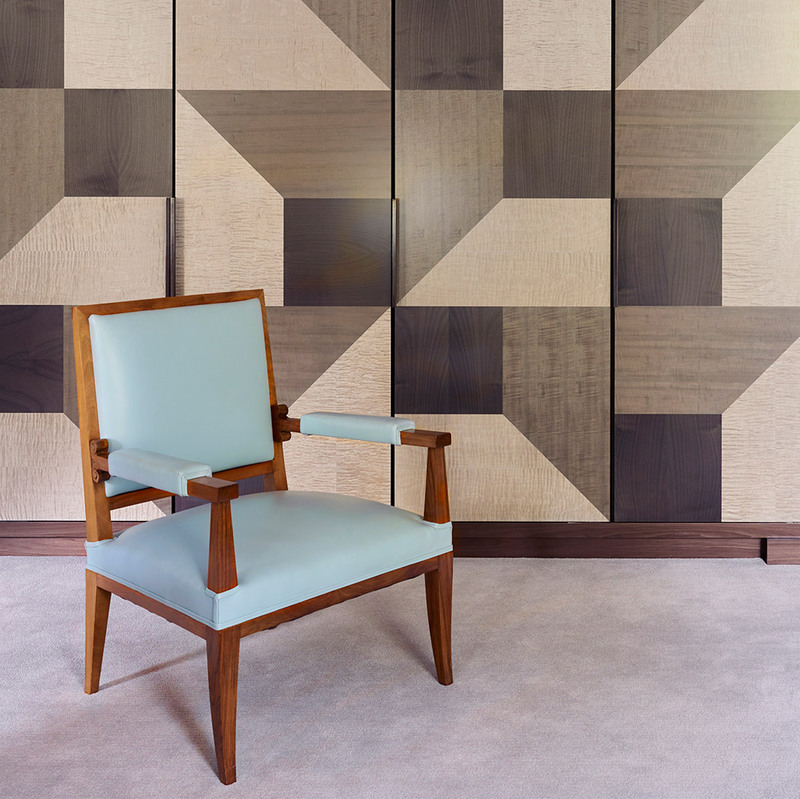 Custom furniture, crafted paneling and other fitted elements form another key element across the home, including the bespoke screens that can be used to partition the dining room and study. 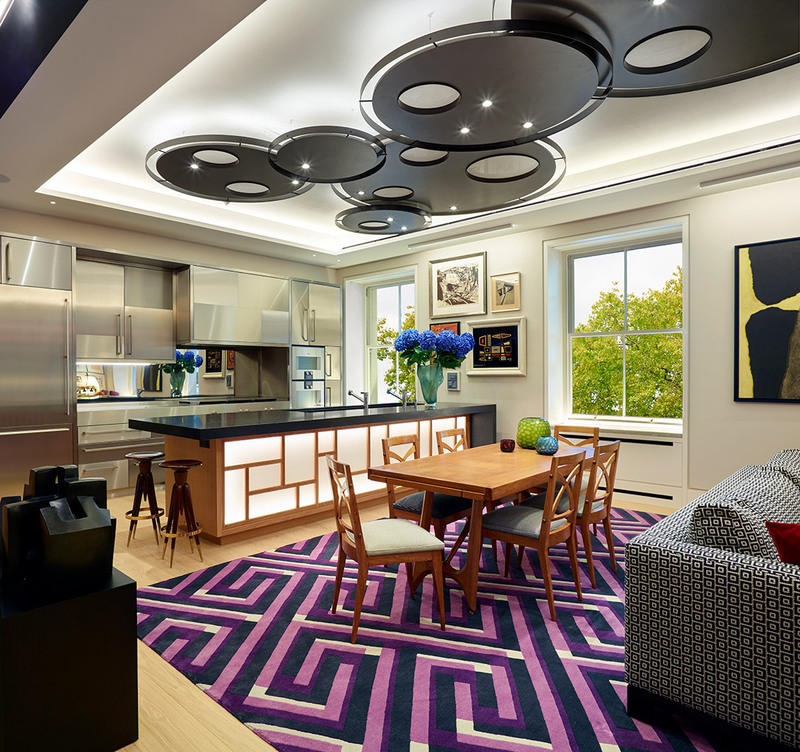 The kitchen forms part of a dramatic, multi-functional space, which includes areas for dining and relaxing, with feature lighting assuming a particular significance once again.